The transition from a single category encompassing both blue and green ("grue") to distinct blue and green categories is considered to be a landmark in the typical evolution of color lexicons around the world. For example, the Middle English term "hwen" was used to denote a grue category until 13th century, but modern English, like modern Japanese, has distinct terms for separate blue and green color categories. 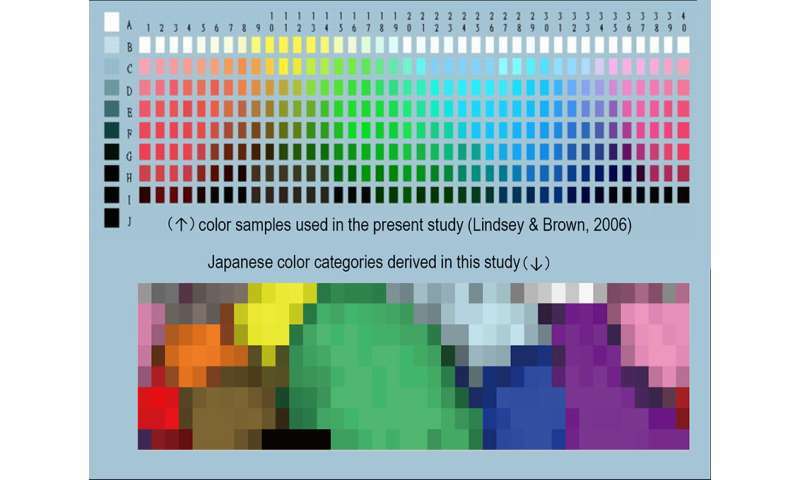 These investigators showed that, in addition to distinct color terms for blue and green, modern Japanese has recently added a new intermediate color term "mizu" for lighter bluish and greenish samples.